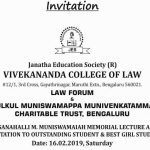 VCL was established in the year 1983 by Janatha Education Society(JES) , it is affiliated to Karnataka State Law University and recognized by the Bar Council of India, New Delhi and recognized by Government of Karnataka. 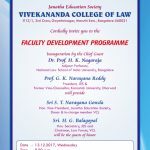 VIVEKANANDA COLLEGE OF LAW was started in the year 1983 with the 3 Years LL.B. Course. 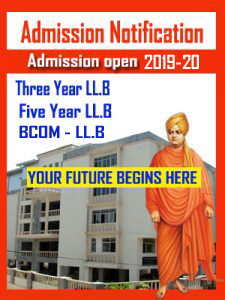 It also started the 5 Years LL.B Course in the year 1986, when the Bangalore University first introduced it. Our Vision is to prepare ROBUST, RATIONAL & SINCERE YOUNG MEN & WOMEN, … Mission : Ignorance of Law is no excuse. 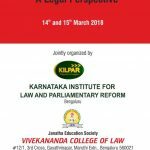 In the modern competitive an complex society, knowledge of law ….